Bill Alexander was born one of seven children, the son of a carpenter on 13th June 1910 at Ringwood, Hampshire. He studied at ReadingUniversity where he secured a Chemistry degree. After graduating he became an industrial chemist. Alexander joined the Communist Party in 1932 and became active in a print workers union. He played a significant role in the campaign against Oswald Mosley and the British Union of Fascists during the 1930s. He took part ijn the battle of Cable Street. On the outbreak of the Spanish Civil War, Alexander joined the International Brigades. As a member of the British Battalion, he arrived in Spain on 22nd May 1937 and was soon at the battlefront. He took part in a newly formed anti-tank battery at the battle at Brunete where after a fortnight the battalion was down to 42 out of an original strength of 300. He became noted as a fearless warrior but a strict disciplinarian. He was cited for bravery at the battle of Belchite in September 1937. Alexander, now a political commissar, also played a prominent part in the fighting at Teruel in January 1938. This was not only a very responsible position, it was dangerous too; commissars not only led from the front, they were always executed if captured. Two months later Alexander took over as commander of the battalion, but shortly afterwards, on 16th February 1938 at Segura de los Banos,he was wounded in the chest and shoulder by a bullet, to add to a deafness caused by being too close to a battery, and invalided back home in June 1938. He went briefly to the Merseyside area on full time Party work but, in 1939, Alexander joined the British Army but was refused a commission. The matter was raised in the House of Commons and as a result he was one of the few experienced Brigadistas not to suffer victimisation and discrimination because of their `premature anti-fascism’. He was sent to SandhurstAcademy and, during the Second World War, served in North Africa, Italy and Germany and reached the rank of captain in the Royal Armoured Corps. 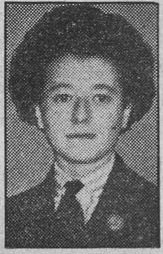 Alexander was Area Secretary of the Communist Party in Coventry after demobilisation and stood in the general election of 1945 in one of the city’s constituencies. On being moved to Merseyside in 1946, he led a march through Liverpool on Saturday 31st November under the title “Work for Merseyside”. This culminated in a rally outside St Georges Hall, where an open air meeting was held to condemn unemployment in the region, then standing then at 30,000. Alexander called for new industries to be brought into the district and suggested the clearing of blitzed sites and re-equipping of parks as two short term measures. From 1947 to 1953 he was the Midlands District Secretary for the Party; then, for six years, he was District Secretary in Wales. From 1959 to 1967, he was Assistant General Secretary of the party. In the 1960s Alexander left Party work to become a chemistry teacher in a comprehensive school in South London. 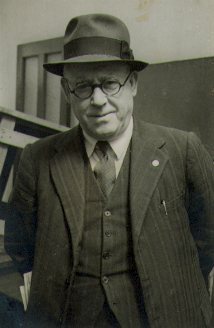 Between 1989 and 1996, he was Chair of the Marx Memorial Library, an apposite development given the library’s special International Brigade archive. But, in retirement, he was mostly concerned with his role as Secretary of the International Brigade Association. In this capacity, he was associated with a project to establish brigade memorials in several parts of Britain, details of which he collated in a book. He was also an architect of the transformation of the IBA from a dwindling band of survivors of the civil war into an association of those who identified with it as an anti-fascist historical event. In 1982 he published British Volunteers for Liberty, an account of the International Brigade in Spain. 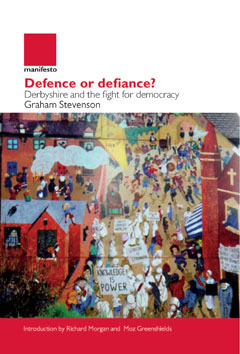 He was also co-author of `Memorials of the Spanish Civil War’ (1996). In 1996 Alexander led a delegation of veterans back to Spain to visit the old battle grounds. In recognition of his actions during the Spanish Civil War, the Spanish government awarded him citizenship of Spain. In later life, he lived in Deptford, South East London and was a prominent opponent of revisionism in the CPGB in the 1980s. Bill Alexander died on 11th July 2000, aged 90 years. He was a Communist Party member to his death in July 2000, having joined the re-established CPB membership. He has been described as “morally and physically tough, but a kind and caring family man” (Colin Williams).